Whether you're looking for something to listen to at work or on a long drive, more and more of us are turning to podcasts as part of our daily routine. Whether you’re looking for something to listen to at work or on a long drive, more and more of us are turning to podcasts as part of our daily routine. And with more people listening to podcasts than ever before, the number of podcasts now being created and released, trying to put together a list of titles you want to listen to on a regular basis is by no means an easy job. 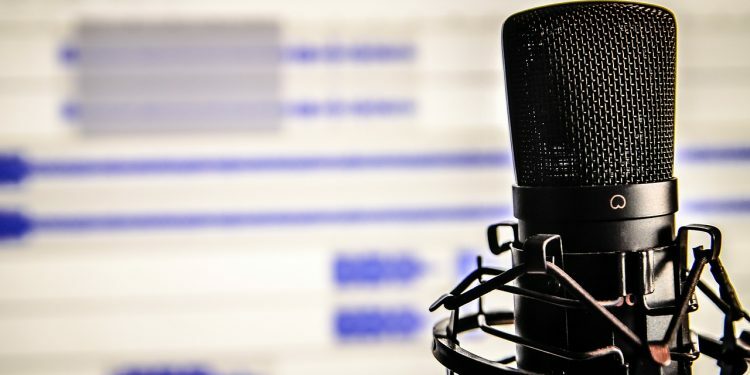 In Australia, it’s a real golden age for podcasting, with a huge selection of new and established podcasts leading the way and building up massive global fanbases. Covering everything from tech to travel, music to sport, it doesn’t matter where your interests lay, there’s no more than likely a podcast for you. We’ve had a look at some of the best Australian podcasts that need to be on your playlist. Having started life out as an ABC podcast, Science Vs was then picked up by American production company Gimlet Media. But, despite these changes, there is still a very Australian feel to this podcast, which is hosted by Aussie Wendy Zukerman. She and her team take on a range of topics, interview relevant experts, investigate the evidence and break it down to a level that even the most lay layperson can understand. With Zukerman’s enthusiasm and knowledgeable narration pulling everything together, this is a very enjoyable way of expanding your mind to a variety of topics you might have been intimidated by in the past. Hosted by Marc Fennell from ABC Radio National, this “weekly access” program brings you all the latest news and hot topics from the world of social media, tech, hacktivism and everything else making the news that week. Featuring discussions about movies, the latest tech stories, TV shows and politics, this is much more than a one-track tech podcast. Joining Fennel on the show are a host of informed and informative guests that add a lot to the pacing of the show. When it comes to alternative and new music, Triple J has been at the forefront in Australia for more than 40 years. The home of the hotly contested Hottest 100 – in which Childish Gambino’s “This is America” is currently around one of the favourites to be named as the Hottest 100 winner with the latest odds over on Oddschecker – their Unearthed show aims to showcase some of the best emerging talent from Australia. Dave Ruby Howe and Max Quinn lead us through the week’s best new independent Australian songs, helping you stay ahead of the curve and exposed to some of the country’s most exciting new artists. You could be forgiven for being unaware of the fantastic music coming out of the Pacific Northwest and this podcast shines a light on a scene packed with talent. This podcast sees some of the KEXP DJ’s favourite artists from across the Pacific Northwest and around the world. If you think your music related knowledge isn’t as comprehensive and diverse as you’d like it to be, this podcast is a very enjoyable glimpse into music you may have overlooked. From the knowledgeable hosts to the excellent music on offer, this is a great find for those looking for something just a little bit different. It’s been a fascinating if controversial year for Australian cricket and The Unplayable Podcast has been crucial to staying on top of everything. It’s hosted by cricket journalist Sam Ferris, a genuine expert of the game and someone who has a massive wealth of knowledge about the subject he’s talking about. The respective episodes are broken down into various sections, taking on the latest stories, topics, debates and the occasional interview. And it doesn’t just focus on the local Shield and Big Bash matches, covering cricket from around the world, as well as providing coverage of the women’s game.